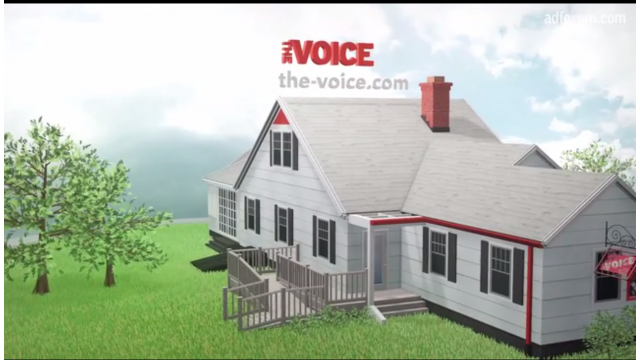 The Voice is an ad agency with an embedded school. At our core, we are an ad agency that does killer work, but we’re bigger than that. We are a new model where emerging talent can labor, learn and even live in our facility, as long as you live for advertising, like we do. We draw the best and brightest from around the world, train them The Voice way, then deliver fresh solutions to our customers' marketing challenges. From ideas to execution, this unique model puts a whole new spin on the creative process. Ahead-of-the-curve upstarts get nurtured by industry veterans. Clients get innovative solutions that are dynamic, cost-effective and strategically sound. The Voice fraternity is strong. Interns have walked through the fire together; this commonality bonds them throughout their careers, whether they stay at The Voice or not. One of the unique aspects of The Voice is our facility: a bifurcated house that is part ad agency and part apartments for designers-in-residence. Rooms are decorated in different graphic design styles. The lower level is The Whitebox production studio.